In this experiment, Al2O3 was adopted to modify the stainless steel slag and the effect of reaction temperature and pH value of leaching solution on the leaching behavior of Ca, Mg element in Al2O3 modified stainless steel slag was deeply discussed. The results showed that Cr gradually enriched into spinel phase with the increase of Al2O3 content in stainless steel slag. When 12% Al2O3 slag was added, the enrichment degree of Cr in spinel phase could be up to nearly 100%. The leaching results indicated that the effect of temperature on the leaching behavior of stainless steel slag was not obvious, while the influence of pH on the leaching behavior could be obviously observed. When pH value was 2.0, the leaching rate of Ca, Mg could approximately reach to 70%. However, the leaching of chromium occurred. When the pH value was greater than 3.0, the weight loss rate of stainless steel slag and the leaching rate of Ca, Mg basically had no change, and the leaching rate of Ca, Mg was nearly 30%. The leaching test results of large lump sample showed that leaching source of Ca, Mg was mainly from merwinite phase in Al2O3 modified stainless steel slag, while the glass, melilite and spinel phase could exist stably in leaching solution. 栾健, 陈德珍. 二氧化碳减排技术及趋势[J]. 能源研究与信息, 2009, 25(2): 88-93. Zhang, Z. and Zhang, H.F. (2007) Carbonation of Mafic-Ultramafic Rocks: A New Approach to Carbon Dioxide Geological Sequestration. Journal of China University of Geosciences, 37, 158-160. 包炜军, 李会泉, 张懿. 温室气体CO2矿物碳酸化固定研究进展[J]. 化工学报, 2007, 58(1): 4-7. Drissen, P., Ehrenberg, A., Kühn, M. and Mudersbach, D. (2009) Recent Development in Slag Treatment and Dust Recycling. Steel Research International, 80, 737-745. Kilau, H.W. and Shah, I.D. (1984) Preventing Chromium Leaching from Waste Slag Exposed to Simulated Acid Precipitation: A Laboratory Study. Seifritz, W. (1990) CO2 Disposal by Means of Silicates. Nature, 345, 486. Israelsson, P.H., Chow, A.C. and Adams, E.E. (2010) An Updated Assessment of the Acute Impacts of Ocean Carbon Sequestration by Direct Injection. International Journal of Greenhouse Gas Control, 4, 262-271. Teir, S., Eloneva, S., Fo-gelholm, C.J. and Zevenhoven, R. (2007) Dissolution of Steelmaking Slags in Acetic Acid for Precipitated Calcium Carbonate Production. Energy, 32, 528-539. Kodama, S., Nishimoto, T., Yamamoto, N., Yogo, K. and Yamada, K. (2008) Development of a New pH-Swing CO2 Mineralization Process with a Recyclable Reaction Solution. Energy, 33, 776-784. Samada, Y., Miki, T. and Hino, M. (2011) Prevention of Chromium Elution from Stainless Steel Slag into Seawater. ISIJ International, 51, 728-732. Arredondo-Torres, V. and Romero-Serrano, A. (2006) Stabilization of MgCr2O4 Spinel in Slags of the SiO2-CaO-MgO-Cr2O3 System. Revista de Metalurgia, 42, 417-424. Cabrera-Real, H., Romero-Serrano, Z.B., Hernandez-Ramirez, A. and Hallen-Lopez, M. (2012) Effect of MgO and CaO/SiO2 on the Immobilization of Chromium in Synthetic Slags. Journal of Material Cycles & Waste Management, 14, 317-324. Yu, L., Dong, Y.C., Ye, G.Z. and Du, S. (2007) Concentrating of Vanadium Oxide in Vanadium Rich Phase(s) by Addition of SiO2 in Converter Slag. Iron-making and Steelmaking, 34, 131-137. Li, J.L., Xu, A.J., He, D.F., Yang, Q.X. and Tian, N.Y. (2013) Effect of FeO on the Formation of Spinel Phases and Chromium Distribution in the CaO-SiO2-MgO-Al2O3-Cr2O3 Sys-tem. International Journal of Minerals, Metallurgy and Materials, 20, 253-258. 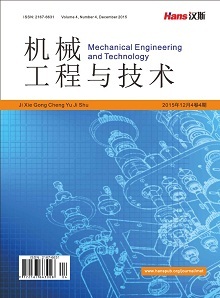 Cao, L.H., Liu, C.J., Zhao, Q. and Jiang, M.F. (2018) Analysis on the Stability of Chromium in Mineral Phases in Stainless Steel Slag. Metallurgical Research Technology, 115, 114-121.